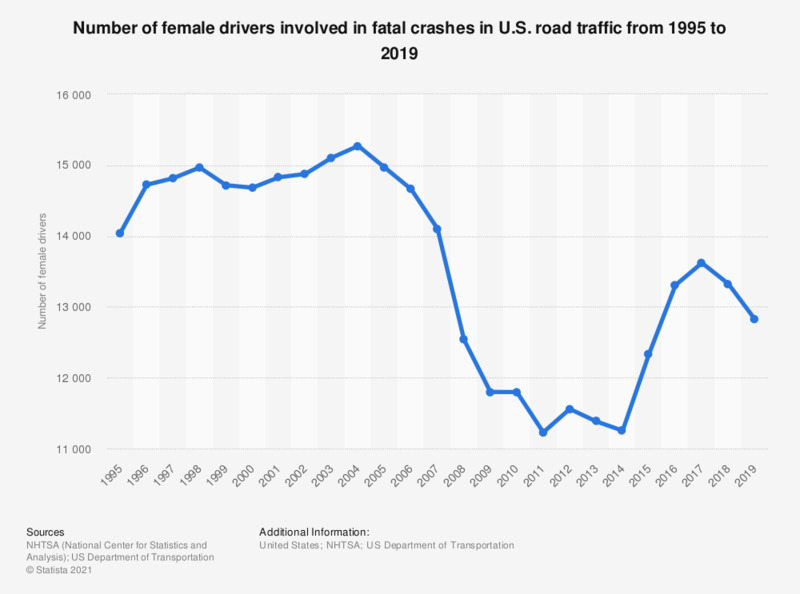 The timeline shows the number of female drivers involved in fatal crashes in U.S. road traffic from 1995 to 2016. In 2016, 13,208 female drivers were involved in fatal vehicle crashes in U.S. road traffic. Drivers in this table include motorcycle riders. * Female drivers > 15 years old.